At the international exhibition of land and naval armaments Defexpo India 2016, which will be held for the first time in South Goa on March 28-31, 18 Russian defense industry corporations, comprising 61 companies, will present products, according to statement of Rosoboronexport. MOSCOW (Sputnik) – Around 18 Russian defense industry companies will exhibit over 800 models of military equipment and hold pre-contract talks with foreign partners at the largest defense expo in India next week, Russia’s state arms exporter Rosoboronexport said Monday. “At the international exhibition of land and naval armaments Defexpo India 2016, which will be held for the first time in South Goa on March 28-31, 18 Russian defense industry corporations, comprising 61 companies, will present products,” Rosoboronexport said in a press release. Russian Federal Service for Military-Technical Cooperation (FSMTC) Deputy Director Vladimir Drozhzhov will lead the Russian delegation at the event, it was noted in the statement. 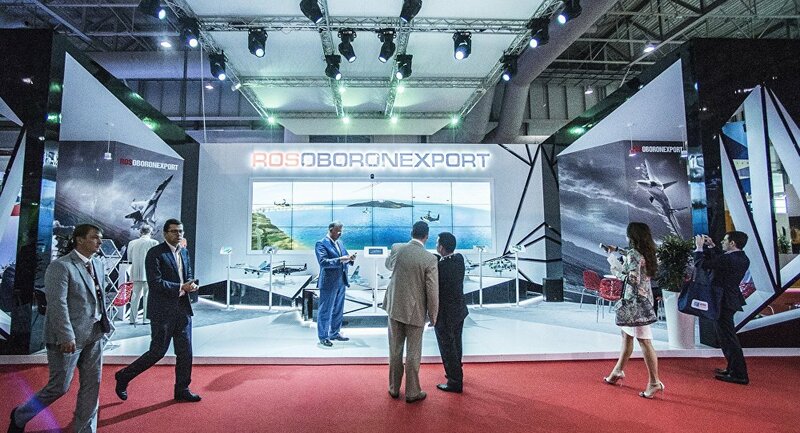 Rosoboronexport Deputy Director General Sergey Goreslavsky will head a joint delegation of his company and the state technologies corporation Rostec.The United Shipbuilding Corporation, Russian Helicopters and the Almaz-Antey weapons manufacturer among others will present their products at Defexpo India.